It's late in the season, and that means a lot has changed since we first cut loose the dogs in the fall. Instead of winds blowing from the warm south, they now come from the cold north. Trees full of leaves first turned colorful and then dropped to the ground. Seasonally warm-if-not-hot temperatures and their associated dryness are replaced by colder weather and accompanying moisture. Scenting conditions are better with the cooler, windier, and damp weather, but what does the weather change do for hunters? If you're not careful, you'll certainly stay warm but you'll miss one heck of a lot of birds. Or you might stay too warm and overheat. Wingshooting is a specialized sport. Gear used in some of your other hunts might carry over, but it also might not. A camo waterfowl jacket is certainly warm enough, but the pattern won't meet blaze orange requirements. The outer shell may be too soft for upland use. That's shorthand for the fact that at the end of your hunt the jacket might be shredded like pork pull in a BBQ sandwich. Look for fabrics that match your hunting situations. A shift from vests to jackets. You'll want to stay as warm as possible, and that warmth comes from insulation, heat dissipation, and wind block. Performance fabrics excel at those three properties, and they offer a few additional benefits. Many are sized for fit with the wingshooter in mind. 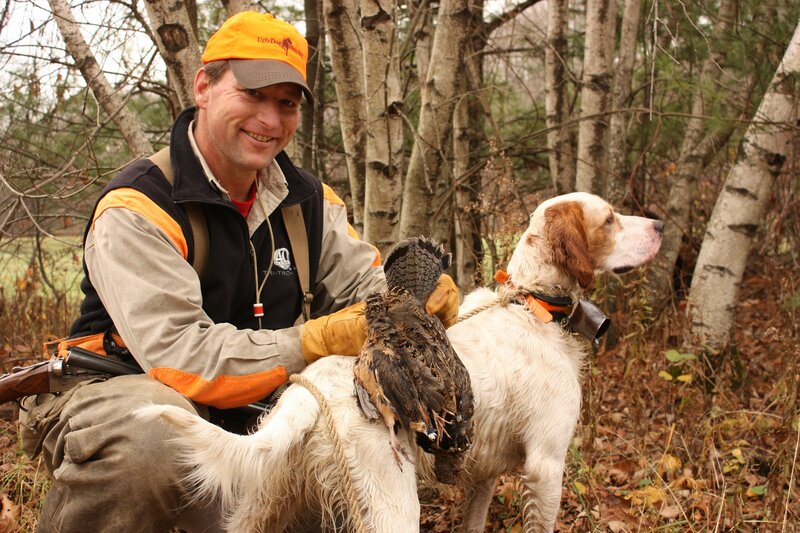 Tight, form-fitting jackets may look stylish but they restrict bird hunters from swinging and mounting their shotguns. Outer shells like the Thorn Resistant GTX are durable, and many feature nylon which adds strength without weight. Add in good properties for color and blaze orange on the chest, shoulders and upper back are a reality. If you're looking for the perfect hunting jacket check out the Breakaway GTX. It's also lined with Gore-Tex so you're properly covered in either the rain or in the snow. Even though you're walking, the wind can rip through your pants. A pair of Covey Waxed Chaps serve as a wind block which means your body heat can be preserved. Another option is to toss a pair of DryArn Base Pants under your jeans. They're made from stretchy poly pro which adds warmth, manages moisture, and provides great movement. Significant body heat is lost through your head, so give some thought to the cover for your dome. Cotton ball caps are good for the early season, but late season temps call for wool or fleece. Provided that you've got enough orange on your body, find a padded or lined hat - like a ball cap with ear flaps and a fleece lining. If it's warm enough for a duck hunter, it's perfect for a bird dogger. If you're hunting in big fields in cold, windy conditions, a facemask might be in order. Facemasks are tricky for upland hunting. You'll want them to be as thin as possible so that your gun mount isn't impacted. Smooth facial surfaces can result in mounts that aren't rock solid. If you go with a facemask practice with it on a round of clays so you're accustomed to how it performs. I wear thin leather gloves like the Black Leather Gloves when shooting and hunting all year round. The reason is that my hands slip from perspiration and my gun mount is slippery and sloppy. Fingers don't work so well in the cold, and if yours are among them, look at your options. Fleece might be warm and light, but be sure the palms feature a grip for traction. Insulated leather gloves work great, but be sure they're not so thick they won't fit in your trigger guard. On moderate days, fingerless gloves are a great option for keeping trigger fingers free. Your hands stay warm while you'll have sensitivity on the trigger. Just because it's the late season doesn't always mean it's frigid. In the Southern quail countries that roll from the Atlantic coast to Arizona, late season can mean increasingly hot temperatures. Look for gear made from either cotton or blended fabrics that allow heat to dissipate. Gear with mesh capes or ventilation pockets like the TM Field Shirt are invaluable on hot days. Hunting situations that are more open and don't have lots of brush means bird doggers can wear short-sleeved shirts like the TM Shooting Shirt 2.0. Add in a vestto carry ecollar transmitters, shells, GPS/compass, and other gear and you're good to go. Match your gear to the late season hunting you'll do and everything will work out just fine. Keep warm or keep cool and carry on.